CHARLESTON, W.V. -- Police in West Virginia are searching for an inmate who disguised himself as a civilian and walked out of a jail, giving himself at least a 36-hour head start. 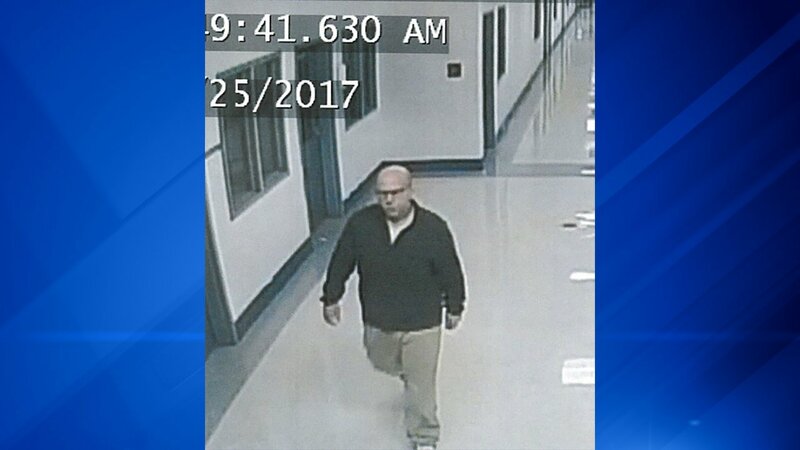 But it wasn't until 7 p.m. Thursday that jail staff realized Boyes was missing. In that time, according to the statement, there had been three formal inmate head counts, and two informal counts overnight. When jail staff reviewed the footage from the facility's security cameras, they discovered he'd left the previous morning. After another carjacking and subsequent car chase in February 2016, Boyes led police to West Virginia, where he used a vehicle to hit a Charleston police officer's vehicle, injuring her, Goldie said. He was shot in the hand by Charleston police before being arrested. Boyes was originally charged with attempted murder for ramming his vehicle into the police officer's, but that charge was dropped during a plea deal. Authorities said Friday that Boyes should be considered armed and dangerous, though there's no indication he was able to obtain a weapon during the escape. Boyes is described as 5 feet 6 inches tall and weighing 220 pounds. It's unclear how Boyes managed to escape without alerting jail staff. There is an ongoing investigation into whether the proper protocol for the head counts was followed, the Department of Military Affairs and Public Safety said. "Officials at both the Regional Jail Authority and the Department of Military Affairs and Public Safety consider the incident to be a grave and unacceptable breach of our core duty to protect our fellow West Virginians," the department said in the statement. "We intend to address the episode and the results of the ongoing investigation with the utmost seriousness." Kevin Davis has a client in the jail, who he says called him Wednesday morning, wanting to share "life or death" information, WCHS reported. Davis went to the jail around 4 p.m. and the inmate told him that "Todd with his fingers shot off" had escaped the jail early that morning. Davis said he wrote the information in a note that he handed to a guard on his way out. "When I handed it to him, he opened it up, I watched him read it and then he folded it back up and put it in his pocket and nothing happened," Davis said. Asked about the attorney's claims, Messina, the spokesman for the Department of Military Affairs and Public Safety, told CNN, "We are aware of the lawyer's allegations, and have included them in our ongoing investigation." "Four facility officers have been suspended without pay pending the completion of the investigation," Messina said, adding no further comment would be provided because of the ongoing investigation.